It’s impossible to have sinking spirits when Molly is on the scene. One of our newest Doggie Brigade members, this little Yorkie-Poo is big on personality. 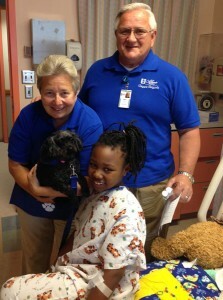 Her handlers are Brent and Dot Frey, of Clinton, and they couldn’t be more pleased to share their beautiful girl with the patients at Akron Children’s Hospital.